Who is Bradford White? If you have not heard of this company, they have been on the cutting edge of HVAC technology since 1881. You know it’s a company that you can trust with Bradford White. Are you looking for a new hot water heater or maybe you need a repair? Look no further than your Denver heating and air conditioning company, Sanders & Johnson, Inc. we carry Bradford White water heaters! We are Denver’s hometown water heater installation experts and we will walk you through the process from the beginning to end of installation. If you want to have a hot water heater you can trust, you need a Bradford White. Why Bradford White Water Heaters? Bradford White company is known for having the highest quality hot water heaters in the industry. Their products have been made in the USA for over a hundred years and they have deep roots in this country. Offering the the absolute highest quality products, Bradford White is known for their over top innovations in hot water tanks. So, don’t fight over hot water in the house! 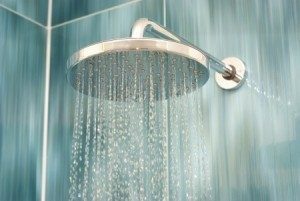 Their hot water heaters will provide you with years of outstanding water service! At Sanders & Johnson we’ve been installing water heaters since 1977. We are not like any other company! We do not try to pressure you into expensive services that you don’t really need. Give us a call today to upgrade that water heater and keep your family happy for years to come! Reach us at 303-422-6606 for your free installation estimate or use our Contact Us form now!